On 19 February, the Chief Executive of Scottish Land and Estates (the body representing 1351 landowners owning 29% of Scotland) wrote the following in his weekly newsletter to SLE members. 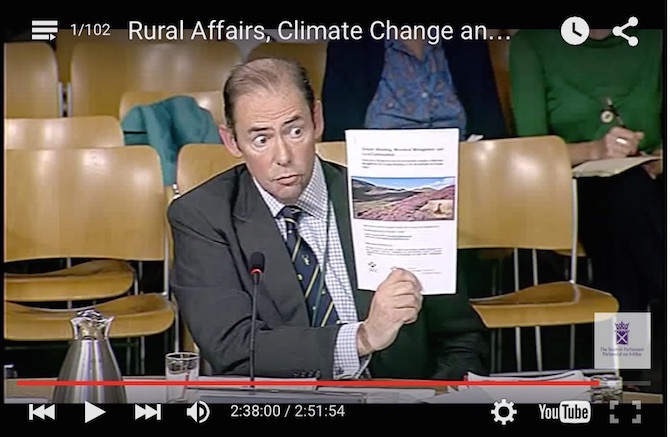 Mr McAdam’s grievance stemmed from the fact that the Scottish Government had not consulted him over the contents of a letter written on 15 February to the Rural Affairs, Climate Change and Environment Committee. It is not entirely clear why he should have been consulted. As far as I am aware the Scottish Trades Union Congress was not consulted either. Reading the letter, it appears to be well informed and draws on a range of evidence. On 18 February, Commonspace ran a story on the letter outlining how shooting estates were paying wages below the national minimum wage and citing a report that Dr Ruth Tingay and I had written last October in which we had first made this claim. 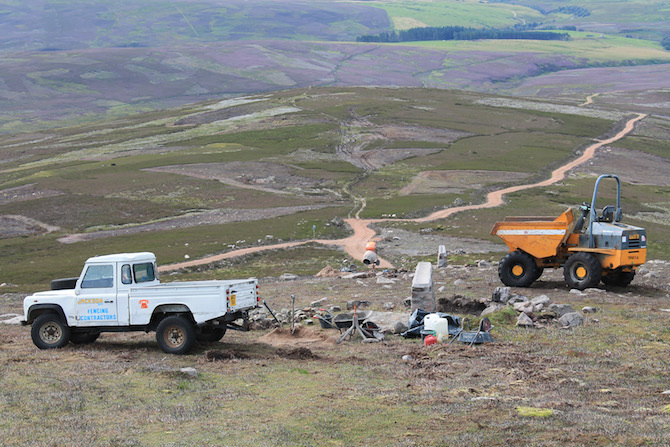 This report, The Intensification of Grouse Moor Management in Scotland, was referenced once more in Mr McAdam’s newsletter as a “poorly researched report”. The figures we used in the report were straightforward. In 2011/12, grouse shooting generated 2460 full time equivalent jobs (i.e. taking account of part time and seasonal employment) with a wage bill of £30.1 million. We made the simple observation that this equated to an average FTE wage of £11,401 which was below the national minimum wage in 2011/12. This claim was attacked by Tim Baynes from the Gift of Grouse Campaign and Scottish Moorland Group (part of SLE) as well as cited by Mr McAdam as evidence of a “poorly researched report”. In that context it is worth putting on the record that the figure was derived from a Scottish Moorland and Grouse Management Factsheet published in July 2013. And who was the author and publisher of this factsheet? None other than Scottish Land and Estates and Scottish Moorland Forum although I have yet to see Mr Baynes or McAdam describe their paper as “poorly researched”. This episode highlighted the fact that the Gift of Grouse campaign is a well financed operation producing blogs, videos and reports in an attempt to persuade politicians and policy makers that driven grouse shooting is a benign undertaking. A good example was the contrasting way in which the campaign responded to two reports about birds. 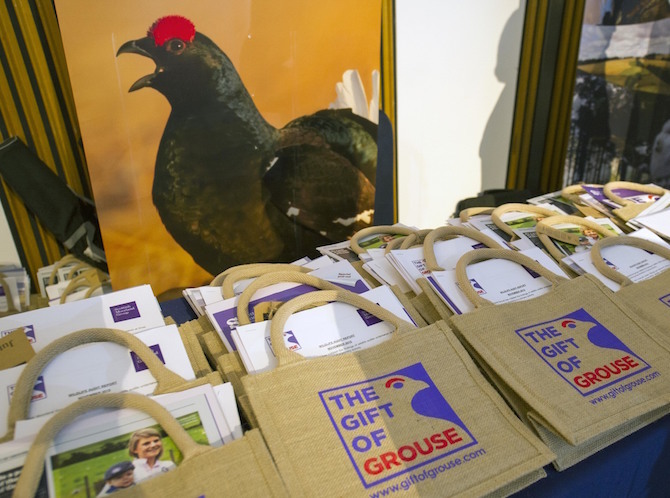 The first report, “81 and Flying” was a report prepared by the Gift of Grouse Campaign/Scottish Moorland Group and launched in the Scottish Parliament at a reception hosted by Graeme Dey MSP on 23 November 2015. When I asked Mr Baynes for a copy of the report, I was told that the report had been “posted” here. Unfortunately this page has since been deleted. But it contained merely a blog post with a summary of the findings of the report. These findings have been questioned by experts (see latter part of this post on the excellent Raptor Persecution Scotland blog for example) but requests to publish the report by a number of interested parties have all been denied. Fortunately, we know that the report was published. Copies can be seen in the photograph of the launch above. But unless the “report” is published it is impossible to know what to make of the claims made during a prestigious Scottish Parliamentary launch (accompanied by extensive press coverage). When will this report be published? In contrast to this non-existent report making claims that are not open to scrutiny but yet were felt to warrant an expensive public relations event, another report a few weeks ago received a rather different treatment. It documents the decline in the population of hen harriers in North East Scotland and attributes the main cause to illegal persecution and grouse moor management. A summary of the findings have been published on the RPS website here. These claims were comprehensively demolished in a further blog by RPS here which includes a transcript of a twitter conversation with Mr McAdam in which he continues to challenge the idea that the peer-reviewed scientific article has any validity. I had the good fortune to sit at dinner on Friday evening in the company of a number of the paper’s authors. As someone who knows very little about hen harriers or the scientific study of bird populations, I was deeply impressed to learn of their lifelong work in this field of study and the bemusement at the reaction their peer-reviewed paper had generated. So, the next time you read a press release or a blog from the Gift of Grouse/Scottish Moorland Forum/Scottish Land and Estates that makes claims about other people’s research, probe a little deeper into the matter. And if they make claims about their own reports, you should pehaps check to see if it even exists in the first place. 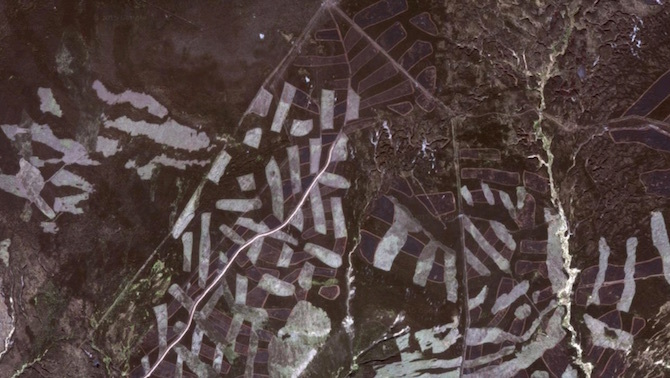 Image: Intensive grouse moor management on Millden Estate, Angus. A report on the damaging environmental and social impacts of the intensification of grouse moor management in Scotland is published today by the League Against Cruel Sports. The authors of the report are Dr Ruth Tingay and myself. The report can be downloaded here (658kb pdf) and a short video here. The report highlights a land use that where Scotland’s hills are being turned into intensively managed game reserves, where protected species are being persecuted, where electric fencing and roads are being constructed with impunity, and where much of this is eligible for public subsidy. The evidence we have uncovered is a shocking indictment of a land use that is out of control. The methods being deployed to maximise grouse numbers are damaging the environment and are subject to no effective regulation or oversight by the Scottish Government and other public authorities. The report is published days after a scientific assessment of many of these issues was published by Scottish Natural Heritage. The report was requested in response to concerns of SNH Board members about intensified moorland management practices in some areas, including the spread of hill tracks, increase in muirburn, heavy culling of mountain hares, and using chemicals to dose red grouse to increase numbers of grouse for shooting. It also comes on the day that the Office for National Statistics published data showing that 33% of jobs in Angus pay below the living wage – the highest percentage of any Scottish local authority. Two of the case studies in the report focus on grouse moors in Angus. This may have something to do with the fact that, as the report reveals, the 2640 full-time equivalent jobs in grouse moor management pay an average of £11,041 which is below the national minimum wage. The report will be launched at a fringe meeting at the Scottish National Party conference on Thursday 15 October at 6.30pm. Protected: Wildcat Haven, Bumblebee Haven or Tax haven?